The 2006 Hindi film Khosla ka Ghosla narrates the story of one K.K.Khosla, who buys land on the outskirts of a city to only later find it squandered to squatters. Anecdotally, the story of K.K.Khosla represents the story of many plot buyers in India, for whom the idiom "possession is ninth-tenths of the law", is a harsh reality. Many of the problems associated with this idiom are a direct outcome of incomplete and inaccurate land title records. Clear and accurate land title records underpin the protection of property rights in any state. Despite the state having conventionally monopolised the function of maintaining and updating land records, until the late 1990s, land titling systems was not the world's "sexiest" topic and got sparse attention from policymakers (Zasloff 2011). As one of the participants at an IGIDR roundtable on Land And Access to Finance described it, a posting in the land revenue administration is commonly regarded as punishment posting for government officials. However, since the 1990s, the connection between clean title records and access to finance and overall economic development, has gained traction. In India, the central and state governments have been making concerted efforts at improving the land record management systems and the delivery of clean title records to citizens. Many of these initiatives have largely focused on the digitisation of land records and have been launched under the auspices of the Digital India Land Record Modernisation Programme (DILRMP), formerly known as the National Land Records Modernisation Program. the inter-connectivity between the different offices of the state administration that maintain land records. Revenue records showing ownership and other interests in individual land parcels are maintained by the revenue records offices under the revenue codes enacted by States. Revenue records are commonly referred to Record of Rights (RoRs) for rural land and Property Register Cards (PR cards) for urban land in Maharashtra. Cadastral maps of villages and land parcels are maintained by the survey offices, which are responsible for conducting State-wise land surveys and parcel-wise boundary demarcation. Cadastral maps are generally made for each village. Currently, these offices are only partially interconnected, and the level of interconnectedness also varies from to state to state. The absence of a comprehensive repository of information pertaining to the characteristics (such as permitted usage and current built-up status), ownership and all other interests created in respect of a land parcel, leads to incomplete or inconsistent land records. Further, it reduces the efficiency of service delivery of land records to the end-consumer. Consequently, buying and selling land and built-up area is more time consuming and expensive relative to other assets such as securities. State level: At the state level, we studied the extent to which the land record management system has been digitised in the state. For this, we largely relied on state-reported data. We conducted in-person interviews with officials of the revenue ministry of Maharashtra. We also relied on the data reported by the Maharashtra Government in a Management Information System maintained by the Central Government to track the State-level progress of the Digital India Land Record Modernisation Program (DI-LRMP). administration, Maharashtra is divided into six revenue divisions comprising of 36 districts, 181 sub-divisions, 358 Tehsils (referred to as Talukas in Maharashtra) and 44,855 villages. After conducting a state-level study in the first leg of the study, we narrowed down two sample Tehsils, Mulshi and Palghar located in Maharashtra. This exercise focused at understanding the extent of digitisation at the level of the sample Tehsils. Parcel level study:We further narrowed our focus to individual land parcels in the sample Tehsils, and studied 100 land parcels spread across 10 villages in each of the two Tehsils. This leg of the study aimed at comparing the land records of the sample parcels with the ground reality. The 100 sample parcels were selected through a stratified random sampling methodology. We inspected each land parcel in the sample and interviewed the owners and persons in possession of the land parcels. We asked questions such as whether a person claiming to be the owner on the ground was reflected as the owner in the records, whether the land was being utilised as per its classification in the land record. We also measured each parcel in the sample to ascertain the discrepancies between the area of the parcel as reflected in the land records and the area on physical measurement of the parcel. 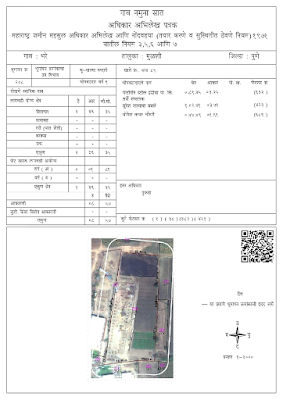 This article gives an overview of our findings on the status of digitisation of land records in Maharashtra at the state level and the service delivery by the land record administration at the level of the Tehsils. We find that currently, throughout Maharashtra, RoRs are prepared digitally, that is, there are no hand written RoRs in Maharashtra, except for one Tehsil. Tables 1 and 2 show that Maharashtra has made significant progress on the digitisation of RoR, with the RoRs of three hundred fifty-seven out of three hundred fifty-eight Tehsils having been digitised and stored on state level servers. This has, however, not been accomplished for eighty-three villages of Jivati Tehsil in the Chandrapur District. It is important to distinguish digitisation from scanning processes. In Tables 1 and 2, digitisation refers to the creation and storage of the RoR in a text-searchable digital format. The digitisation of CMs may or may not be preceded by a survey or re-survey of the land. A survey of agricultural land, using traditional survey techniques such as plane table, in Maharashtra, was conducted before independence. The Maharashtra Government has not conducted a state-wide re-survey of agricultural land since independence. Non-agricultural land located in a village, town or city with a population exceeding 2000 persons, is commonly referred to as "Gaothan land" (abadi areas). A state-wide survey of gaothan areas has never been conducted. Table 3, which summarises our findings on the status of digitisation of cadastral maps, shows that very little progress has been made on this front. Here too, while 100% of the maps held by the state government have been scanned, Table 3 denotes the maps which are 'digitised' after vectorisation. Recently, the State Government initiated a pilot re-survey of agricultural land in twelve villages, using modern survey techniques and equipment such as such as High Resolution Satellite Imagery (HRSI), Electronic Total Station (ETS) and Differential Global Positioning System (DGPS), in the Mulshi. We have been informed that the pilot has been completed and the State Government has proceeded to digitise maps of these re-surveyed villages. The RoRs of these re-surveyed villages are also in the process of being revamped to integrate the geo-co-ordinates and aerial images, of the individual land parcels. Figures 1 and 2 contain images of a hand-written RoR and a revamped digitised RoR with geo-co-ordinates and an aerial image of the land parcel integrated in it. The sample RoR in Fig.2 is a remarkable development in land record administration, as it integrates textual and spatial information pertaining to a specific land parcel in a single document maintained by the state. There are two processes involved in recording a change of interest in land. First, registration of the deed (contract) under which the change of interest is recorded. The Registration Act, 1908 mandates the registration of certain land transactions such as sales and mortgages, and requires the physical appearance of the parties to a contract before the SRO for the registration process. In 2013, Maharashtra made certain amendments to the Registration Act to allow registration through electronic means and issued rules to allow the e-registration of certain documents such as leave and license agreements. While the State Government has undertaken three initiatives for digitising different stages of the registration process, the process can only be completed by physically attending the SROs, except for leave and license agreements in respect of built-up property. Table 4 summarises the status of digitalisation of each process involved in a land transaction, and gives a comparative overview of Mulshi and Palghar Tehsils. Easy access to title records is one of the fundamental tenets of a good land records administration system. We find that while copies of RoRs are easily retrievable from the web by keying in basic details of the land parcel such as the cadastral number, such copies are not certified or digitally signed, which creates challenges for their usage as evidence before courts and other authorities. However, we understand that digitally signed copies of RoRs for a few Tehsils in Maharashtra are available for web retrieval, although we have not been able to retrieve any. The state officials informed us that copies of registered deeds can be retrieved from the web by keying in basic details about the land parcel or the registered deed. However, we have not been able to retrieve any. Cadastral maps are not available for retrieval online. In a nutshell, the process of applying for certified copies of title records continues to be largely physical. As part of the study, we conducted test checks for retrieving a copy of a document known as Index II (which is a record issued by the SRO containing an extract of the transaction in a registered deed) and RORs. 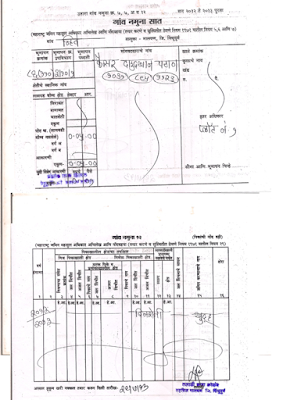 Table 6 contains the results of our test checks for retrieval of land records in Maharashtra. We also studied the time taken for delivery of certain services to the citizens, namely: the time taken for registration, updation of land records and retrieval of certified copies of land records. For this purpose, we conducted test checks on randomly picked applications made in the last three years from each of the offices. 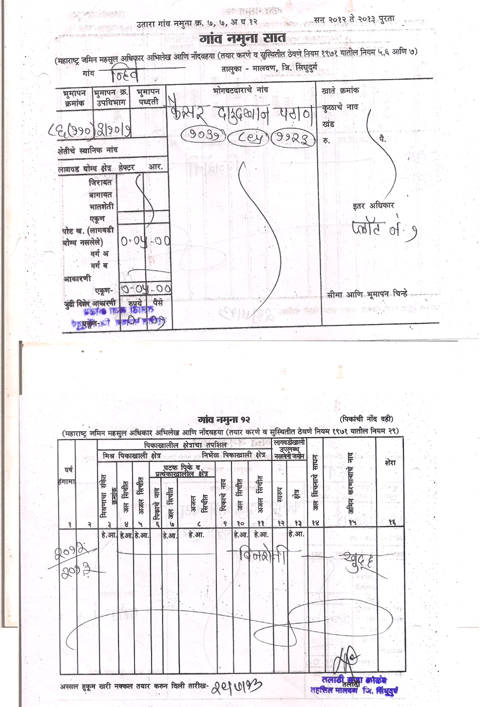 Tables 7 and 8 contain our findings of such test checks conducted in Mulshi and Palghar Tehsil level offices. As mentioned above, land records are currently maintained across three different departments of the Revenue Ministry. Clean title records require constant co-ordination between these departments. We find that the SROs (where land transaction deeds are registered) and the Talathis (who maintain RoRs at the village-level) are digitally interconnected, so that details of land transactions are regularly intimated to the Talathi, who then initiates the process for updating the RoRs. However, the co-ordination is often affected by breakdowns and power shortages. On the other hand, the connection between the survey department (which is in charge of preparing CMs) and the other two departments is weak. Also, we find that courts, which often pass orders affecting interests in land, are not connected to land records offices. Title records to a land parcel comprise of the RoR, CMs and registered deeds. All of these are currently maintained by different offices. This inherently creates inefficiencies in the internal management as well as access to title records for the public. Moreover, since these offices are not connected to other forums which are empowered to pass orders affecting rights in relation to land (such as courts, and tribunals), a comprehensive repository reflecting all the interests subsisting in respect of a land parcel, is missing. While digitisation, as is being currently implemented, can increase the efficiency of these silos, the creation of a single repository reflecting all interests in land, will be game-changer. Varying levels of progress in digitisation: We find that while some components of the system are in reasonably advanced stages of digitisation, others are not. For instance, the digitisation of CMs has not seen much progress in the state. Greater progress can be achieved on this front by either dispensing with land surveys for digitisation of CMs, or pursuing alternative survey techniques and easing government contracting processes for conducting surveys. Similarly, the processes of applying for registration, updating mutation entries and boundary demarcation, have not been digitised. There is scope for bringing in efficiencies in the interface between the public and the land records administration by implementing some reasonably easy processes, such as allowing them to remotely track the status of their applications for land-related services. Even the platforms currently available do not allow land-holders to access copies of title records that will be accepted before judicial forums. For instance, copies of land records, such as the RoR that can be accessed from the web, are neither digitally signed nor certified. While we understand the process of facilitating such access is underway, until such access is fully operationalised, the absence of certified copies would imply that there is no legal sanctity to land title records retrieved from the web. Infrastructure issues: Throughout the duration of our study, we noticed infrastructure issues such as server breakdowns, slow connectivity, power shortages and shortage of survey equipment, which are major contributors to delays in the service delivery. We noticed the absence of good physical office infrastructure in several offices responsible for maintaining land records. For instance, we found that many of these offices lacked basic facilities such as restrooms and other resources necessary for any record-keeping unit such as photocopiers and printers. The average Indian household holds 77% of its total assets in real estate. Anecdotally, land and fixed assets constitute a significant proportion of secured lending in India. The World Bank's Ease of Doing Business Ranking 2018 ranks India in the bottom quartile for property registration. In short, as per these rankings, critical infrastructure for a land market in India, is at best, poor and at worst, non-existent. The recent focus in India on digitisation of land records administration is admirable and is a step in the right direction towards increasing the overall efficiency of land record administration in India. Even as we seek to improve land records administration through a single-minded focus on digitisation, the next step in this field is to re-think the institution design for the maintenance land records by the state, and re-focus it on service-delivery, as opposed to the collection of land revenue.